The fall season is here and with it comes the parties, dress up fun, and tasty treats for Halloween and Autumn Celebrations. As we enjoy the festivities, it is important to focus on safety involving costumes, treat assessments, and trick-or-treating. Access Medical Associates has some helpful tips that will enable you to enjoy all the delights of autumn while being diligent about safety. Be mindful of costume accessories such as swords and knives. When choosing items, make sure they are flexible, short and soft. Also check to see if your costume selection is flame-resistant. 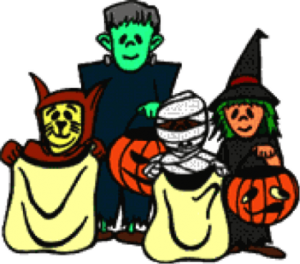 Trick-or-treating can be one of the most enjoyable events children have on Halloween. Make sure they are either walking with a trusted adult, or with a group of people. If you decide to enter a home, do so only with an adult you trust. Remember trick-or-treaters are sometimes sharing the road with vehicles. To make your trip safe, consider fastening reflective tape to costumes and/or bags so drivers are able to see you. The most common safety measure is examining treats for tampering or even a choking hazard. Stick to factory wrapped treats versus homemade treats from strangers. You also might want to reiterate to your little ghost or goblin that eating too many treats can cause a scary stomach ache. Don’t ruin your trick-or-treating experience with a trip and fall. Don’t run from house to house, and consider holding a flashlight to help you see. Only visit houses with proper lighting. Also when selecting a costume, make sure your costume and mask fit well. A costume too long or a mask impairing vision could cause problems. All costume make-up should be removed before the evening is done to avoid possible eye or skin irritation. It also might be a good idea to test the make-up in a small area to monitor any skin sensitivity. Try to stick to sidewalks and when crossing the street, use crosswalks and look both ways. If you have to walk on the road, stay close to the edge and face traffic. Never accept rides from strangers. Decorative contact lenses can potentially cause serious eye injury. Use with caution. In preparation of parties and trick-or-treaters, consider some of the following tips. Try to offer a healthy section for your guests. Providing a low-calorie drink, fruits, cheeses, and vegetables might be appreciated. Remind your party goers that your street may have visiting trick-or-treaters so kindly drive slowly and carefully. It’s always a good idea to evaluate the area your guests and trick-or-treaters will be walking. Sidewalks and stairs should be nicely lit and free of obstacles and clutter. One of the greatest autumn decorations are jack o’lanterns, but there are safety hazards that you might want to consider. 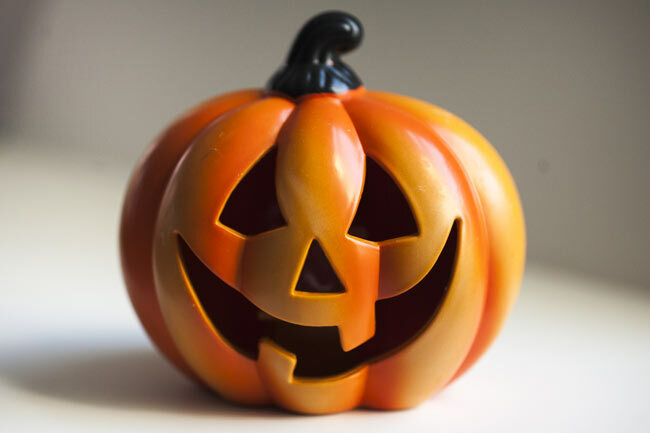 Candle-lit jack o’lanterns should be kept away from curtains, walkways and doorsteps. Never leave them unattended and place them on a sturdy base. Little fingers and furry friends might be tempted to play with your jack o’lanterns, so put some thought into positioning them.